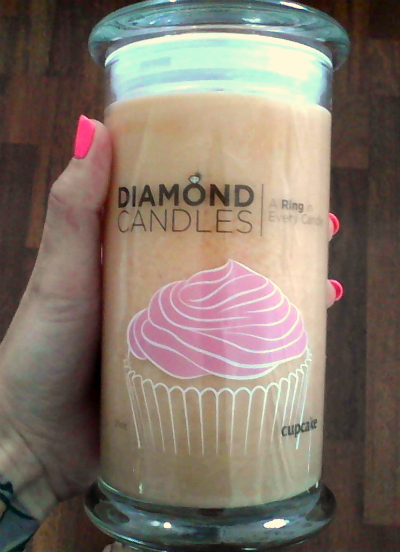 I'm really excited for this review & giveaway from Diamond Candles today. We are so glad you are here! If you don't know much about us yet we have real rings worth $10, $100, $1,000, or $5,000 in every single earth friendly, all natural soy candle that we make. The combination of highly fragrant premium quality soy candles, an exciting and fun 'ring reveal' experience (what ring will you find? ), and a ring to wear for months and years to come means making something as boring as burning candles in your home something to look forward to. Once you burn your candle down and find your ring, head over to facebook and upload a photo or video of you and your ring for everyone else to see! 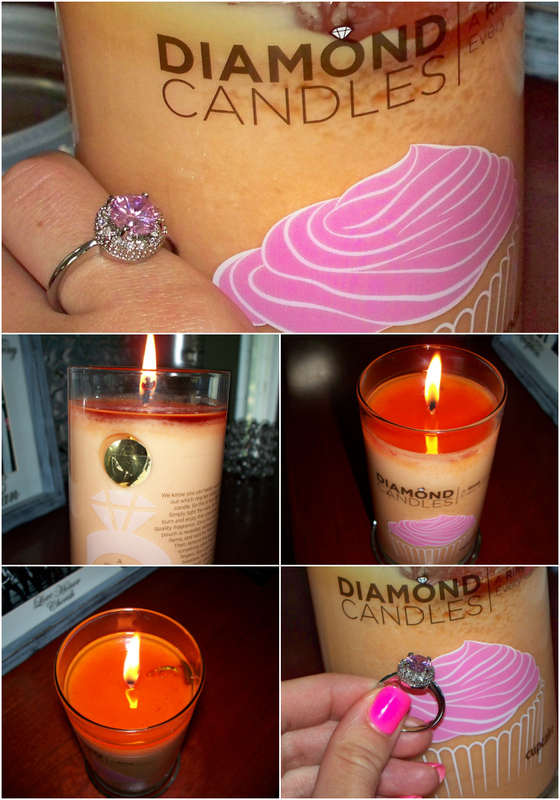 You can watch some 'ring reveal' videos, or go ahead and take the plunge and get your first soy candle! I had heard of these before but never tried them out myself until just last week. I ordered the Cupcake scented one, after taking forever to decide between that one, Vanilla Lime, Gingerbread Latte, and Chocolate Truffle. (Which apparently unbeknownst to me, my BFF Janie ordered the same scent at the same time too. It's now sold out- told ya it was good!) They all sounded yummy though though. I popped the lid off and took a big whiff...it smelled heavenly! Just like a sweet, sugary, frosted cupcake. I lit the candle and opened up a good book (perfect on this rainy, summer day) and waited for my ring to reveal itself. By the end of the day, I had my ring. It didn't have any special markings on it, so I figured it's just a $10 piece of costume jewelry, but I don't really mind. It was fun waiting to find out what was inside, and it's still a pretty ring. A real diamond would have been nice, but at least I have a cute new accessory to wear and a really delicious smelling, huge candle to burn for a while to come. 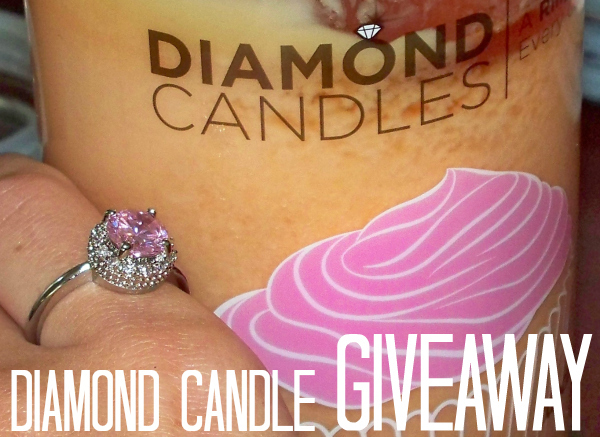 Now you have a chance to win your very own Diamond Candle with a ring valued at $10, $100, $1,000, or $5,000 inside! You can check out their Facebook page and their Pinterest boards for some of the more expensive rings customers have found inside their Diamond Candles. I can't wait to get another one and try for another ring. I can see how this might be addicting. These would make such a great gift idea for people who love candles! I love candles and to get a surprise at the end is awesome! Thanks for the giveaway post. Yep, I'm all over this haha. I love it. I entered! I've always wanted one of these!